Rev. Joseph DOWNING (1589 – 1656) was Alex’s 12th Great Grandfather; one of 8,192 in this generation of the Miner line. Rev. 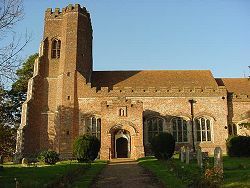 Joseph Downing was born circa 1589 at St. Nicholas, Ipswich, Suffolk, England. His parents were George DOWNING and Dorcas BELLAMY. He and Jane ROSE obtained a marriage license on 6 Nov 1616 at Suffolk, England. Rev. Joseph Downing was Rector of St. Stephen’s Church, Ipswich, Suffolk, England, in 1626. In 1628 he was residing at Layer Marney, Essex, England. Joseph died in Aug 1656 in Salem, Mass. Layer Marney Tower is a Tudor palace, composed of buildings, gardens and parkland, dating from 1520. 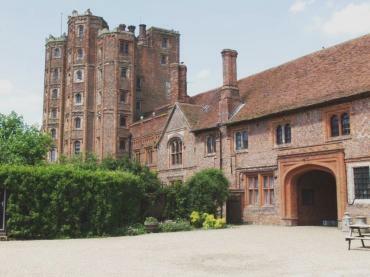 Constructed in the first half of Henry VIII’s reign, Layer Marney Tower is in many ways the apotheosis of the Tudor Gatehouse. Jane Rose was born about 1593 and was of Akenham, Suffolk, England when she married. Probably Jane died while her children were still growing up, date unknown, and Joseph married a second wife. This is learned from a surviving Bishops’ Transcript of Layer Marney of March 1639 – March 1640. In this period, “Joseph Downing, an infant, the sonne of Joseph Downing Clarke” was buried. Jane may have been too old to be the mother of this infant. On the other hand, this may have been her last child, after several others born in Layer Marney, as suggested above. c. 1640, probably in Wells, Maine 8 Nov 1694 Hadley, Hampshire, Mass. Joseph Downing is the youngest brother of Emanuel Downing, the immigrant ancestor of the American Downing Family who participated in the formation of the Massachusetts Bay Company. This information collaborates with the letter written by Emanuel Downing to his brother-in-law John Winthrop, in which he names Abigail Montague as his cousin (niece).
. . . Its noe small comfort to me that I haue hope ere long to enioy your Companie. I purpose God willinge to sett forth hence in the begynning of Aprill at furthest and to take your sonne hence with me. I follow your councell in coming to the bay before I resolue where to pitche. I pray helpe me to hire or buy some house (so as I may sell yl againe if I shall remove) in some plantacion about the Bay. Thus for present I take leave and rest leaving you and your affayres to ye blessed protection of ye Almighty. Joseph was attending Cambridge University when his parents both passed away. The town of Ipswich paid £5 to help with his schooling. He received his Bachelor of Arts at Trimity College, Cambridge, 1610-11, and his Master of Arts at Queens’ College in 1614. The Cambridge alumni records state that he was Rector of St. Stephen’s, Ipswich, in 1626 and Rector of Layer Marney, Essex, 1628-46. In 1616 Joseph’s brother Nathaniel died, and in his will he gave Joseph £20. The 1616 marriage place of Joseph Downing and Jane Rose has not been found. The license for their nuptials states that he was of Ipswich, single, that she was of Akenham, single, and that they planned to be wed at Claydon. Claydon registers do not have the entry, nor has it been found at Akenham or elsewhere. Only the license appears in Boyd’s Suffolk Marriage Index. The registers of St. Stephen, Ipswich, have the following: “Master Downing M.A. anno 1613 (one of the Sonnes of Mr. D., Schoole master of the Free Schoole here in Ipswich) was chosen to be preacher of this parish in May 1623 by the consent of the whole parish, Mr. Warner being verie old and not able to preach. In 1626 John Osborne appointed his brother-in-law “Joseph Downing of Ipswich Clarke” an executor to his will. Apparently in 1628 the family moved to Layer Marney, Essex, where Joseph again served as Rector. Joseph and Jane could have had more children after the move, their four known ones having been born in Ipswich in 1617, 1620, 1624, and 1626. 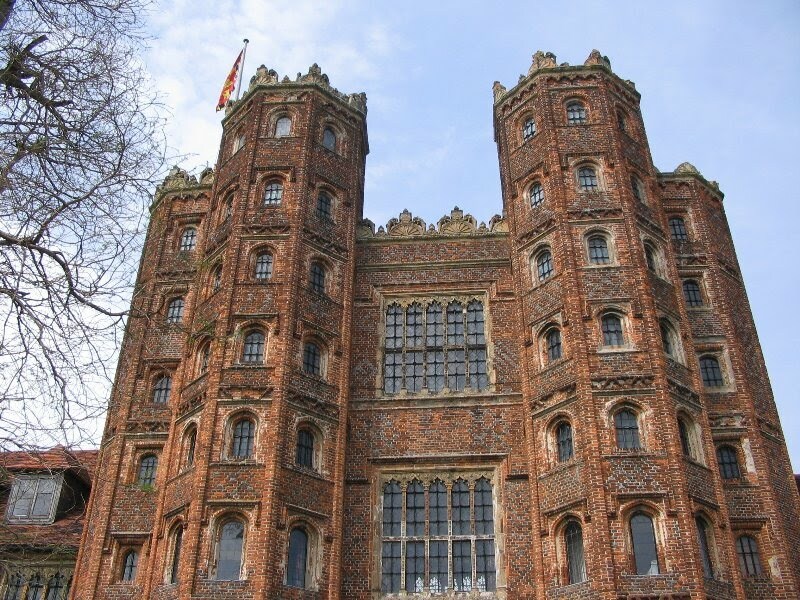 The Layer Marney parish registers are extant only after 1742. In the Winthrop Papers at the Massachusetts Historical Society, Boston, is a letter from Joseph Downing, written 28 Feb 1633/34, from Layer Marney. The letter reveals that he cultivated extensive garden and orchard space. He had sent “quodlin” plants to John Winthrop in New England, and if “you have no roses there, I will send you over some damaske, red, white and p’vince rose plants…I wish you had 100 of my best peare trees in my nourcerie.” Francis Kirby, Joseph’s brother-in-law, in a letter from London to John Winthrop Jr., dated 26 Feb 1633/34, mentioned shipping “the twigs of quodlin tree” that “my brother Joseph Downinge” had provided. This entry was posted in 14th Generation, College Graduate, Immigrant - England, Immigrant Coat of Arms, Line - Miner, Storied and tagged Brother to Harvard, Emmanuel Downing, Rector to Layer Marney, Sir George Downing -1st Baronet, Uncle to Downing Street. Bookmark the permalink. Hi! My name is Charles Downing. I am direct descendant of Emmanuel Downing and Lucy Winthrop. Our lineage from their grandson was George Downing who married to Mary Coles, a daughter of Daniel Coles (born in Downing’s Mansion House of Salem, MA) and Mahershabal Hashbaz Gorton. She was granddaughter of Robert Coles and Samuel Gorton (Founder, city of Warwick and partner with Roger Williams”. Mary Coles’s grandfather, Robert Coles sold his farm to Emmanuel Downing. Thank you for this. The Rev Joseph Downing is my 11th Great Grandfather, and I appreciate the info. The Rev. Joseph is my 10th Great Grandfather, so I too am very grateful for this information. 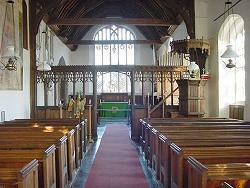 I hope to document some of it and visit all of the relevant churches in Suffolk when I visit England next month. The Rev Joseph Downing is my 9th Great Grandfather. Jane Rose died in 1621 in Ipswich, Suffolk, England. Joseph and Jane married 2 Dec 1611 in Ipswich, Suffolk, England, per U.S. and International Marriage Records, 1560-1900. Maurice R Cobb 1909& Pearl B Slade my parents, IraRProctor & Harriet E Butler his grandparents, mom side Ethel HKnight. Harriet of Can. Unable to locate Harriet 1848? Thru this line I’m told Cherokee?? Chief Redfox Davis?Downing? Jeremiah Proctor & Vir Jane Davis ? House of Proctor?? Chief Tecumseh is related?